This week at Digital FX we participated in our studio’s first weekly show and tell. Yes, the same kind of show and tell that you do in elementary school! Our owner, being an avid collector in vintage cameras brought an extremely rare item to show: the Kemco Homovie. 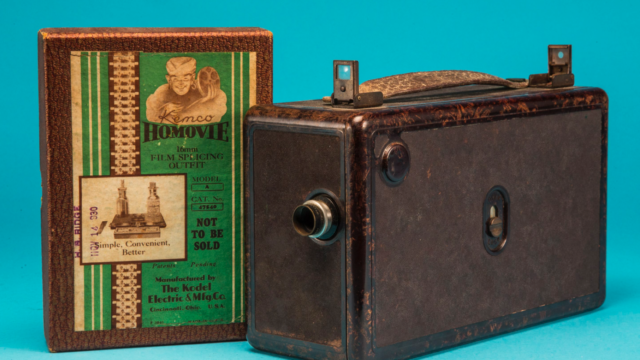 This camera dates back all the way to 1929, a time where amateur home movie making was quite expensive. There were no point and shoot cameras or smart phones to use to make your home movies. Only the wealthy could afford the equipment and film needed to make movies. This camera was invented by H.B. Ridge and Clarence Ogden, a pioneer in early radio equipment and the owner of Kodel Electric and Manufacturing Company. It was Ogden’s vision to bring affordability to amateur movie making. At this time in camera technology, cameras only used celluloid film. There was obviously no such thing as digital cameras or computers and storage devices to dump endless hours of footage. The only options were to use actual film and once you shot with them, you could not use them again. A standard roll of 16mm film in 1929 was only 50’ long, this would run for less than 2 minutes at 24fps. Once you bought the film (and you’d have to buy more than one roll if you wanted to shoot longer), paid to get it processed and then bought an accompanying projector to view the film, the entire process could get quite costly. Ogden, however, found a way to fit 75% more footage onto a standard roll of 16mm film. Just a few years earlier Kodak, who pioneered the slogan “You Press the Button, We Do the Rest” had introduced the Cine Kodak 16mm camera at a cost of $200. In todays dollars that’s about $2000. Add in the cost of 16mm film and processing and you have a very expensive hobby. Eastman Kodak’s Cine-Kodak camera c1923, was the world’s first 16mm movie camera. 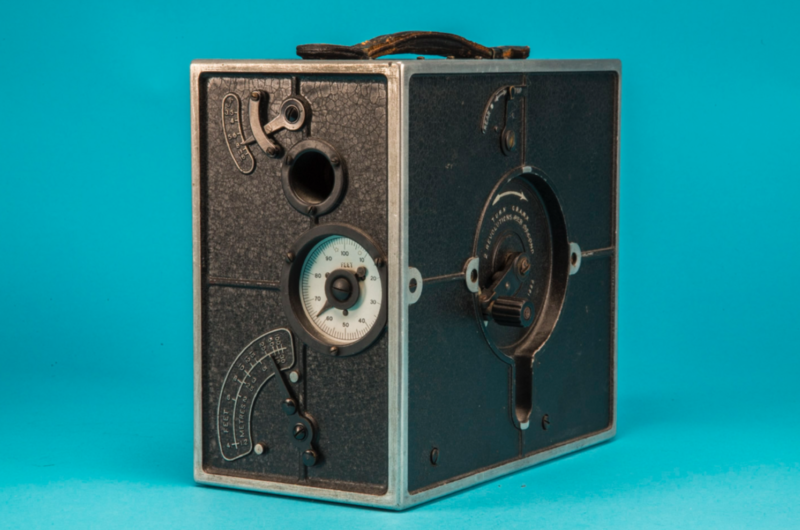 Even though Kodak’s new Cine-Kodak and later models had reduced the cost of amateur film making considerably with the introduction of 16mm film, Ogden’s invention wanted to squeeze 4 images onto the same 16mm frame. He did this by utilizing a “boustrophedonic pattern” which comes from a greek term meaning “as the ox plows.” The film would move to the right for two frames and then drop down and move to the left two frames before jumping to the next “full” frame on the strip. This resulted in being able to film four times as much as you usually could on a single roll. So if you were filming with 50 feet of film, using this camera, you essentially had 200 feet of film to use. 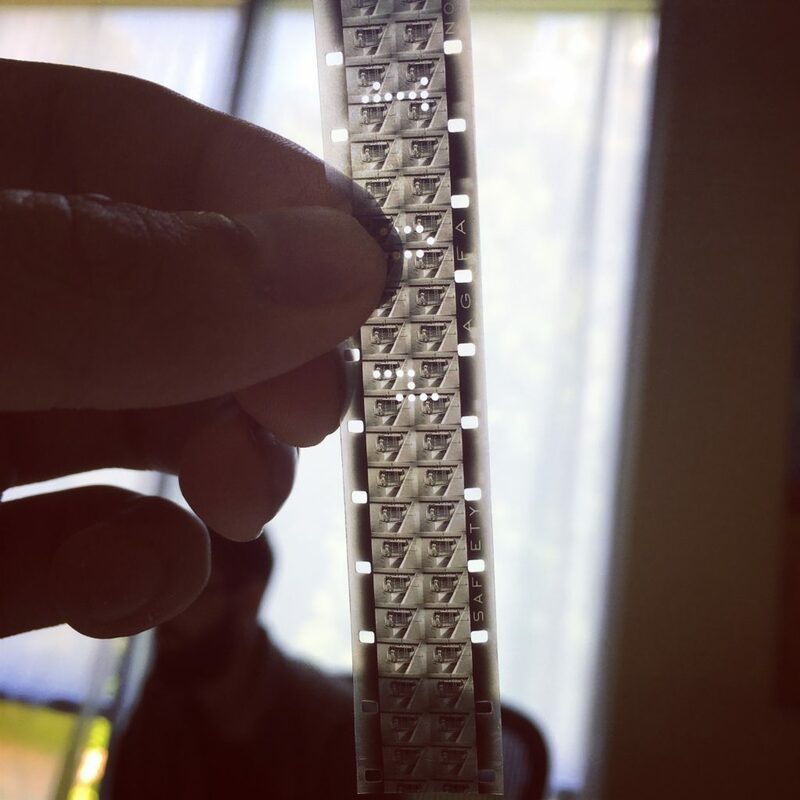 Exposed 16mm Film with four exposures in a single 16mm frame. In order to watch this film, you needed to buy Ogden’s proprietary projector capable of playing each frame in the same way it was filmed. Kemco HoMovie 16mm Camera and Projector Set. A year after Ogden brought the HoMovie to market, Kodak fearing a loss of market share introduced 8mm movie cameras and the HoMovie became a commercial flop. Only around 400 units were ever produced, thus making this camera quite rare. It is also the only camera that could film this way on standard 16mm film. Unfortunately, the mechanics behind making this work did not catch on, but it is still considered to be one of the most innovative cameras to come out of that era. The Kemco Homovie in our collection is was actually owned by H.B. Ridge and was used to create some of his early test films. The collection includes many of these original films shot by Clarance Ogden and H.B. Ridge along with a full set of all the accessories made for the camera. 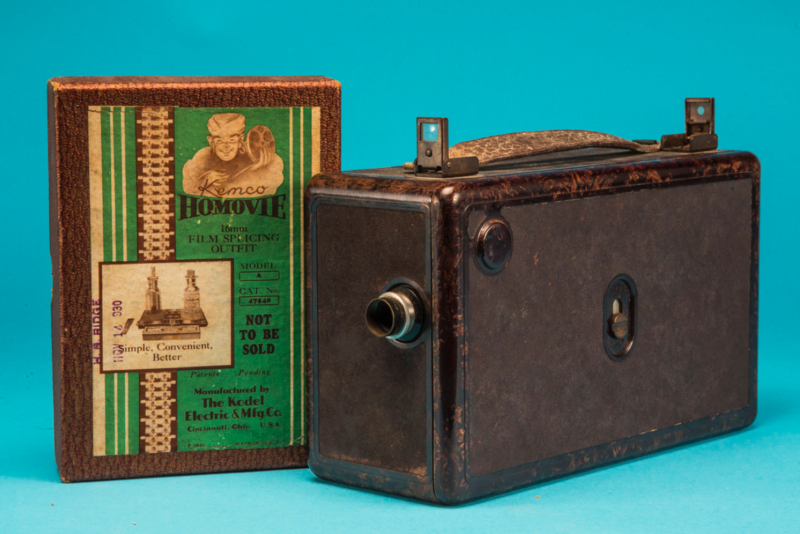 Kemco HoMovie Camera with two test films shot by H.B. Ridge and Mr. C.E. Ogden. Stay tuned for more show and tell and make sure to subscribe to stay up to date with the latest blog posts!